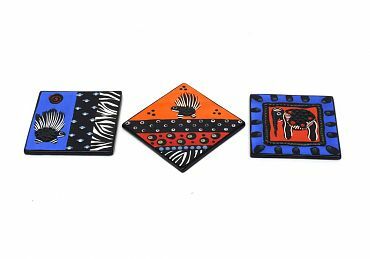 These colorful tiles are hand painted by South African ceramic artists. Each unique piece is inspired by Africa's colors, animals, and patterns. All pieces are food and dishwasher safe.